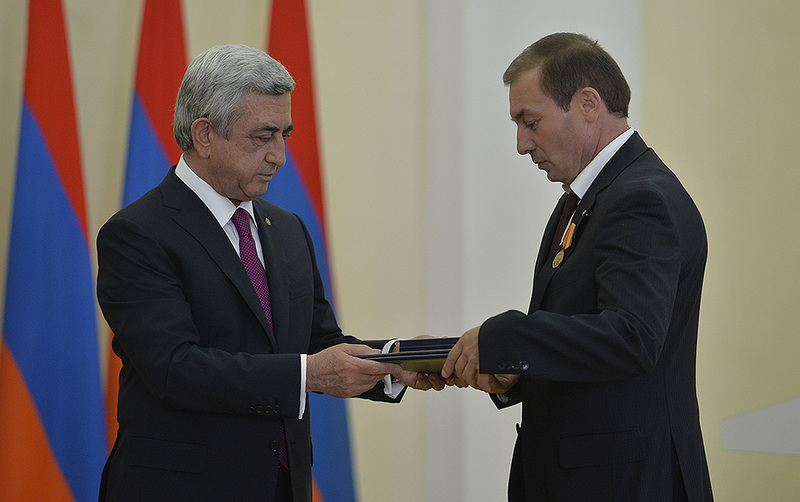 By the Presidential degree, on the occasion of the 25th anniversary of Armenia’s independence a group of individuals were bestowed high state awards – orders and medals, for their contribution to the state building, strengthening of defensibleness and security, upholding of law and order, development of the economy, strengthening of Armenia-Spyurk relations and contribution to the preservation of the Armenian identity, momentous achievements in the areas of science, education, health care, culture, and arts. 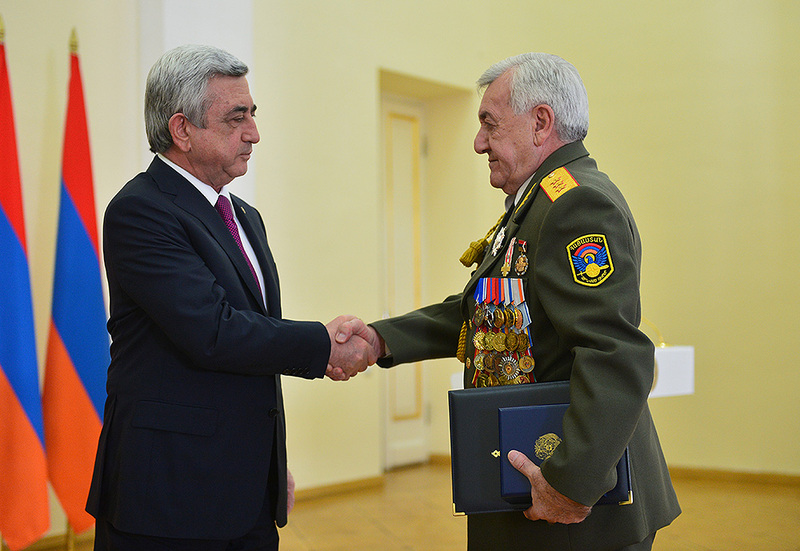 Awarded were also honorary and military titles. 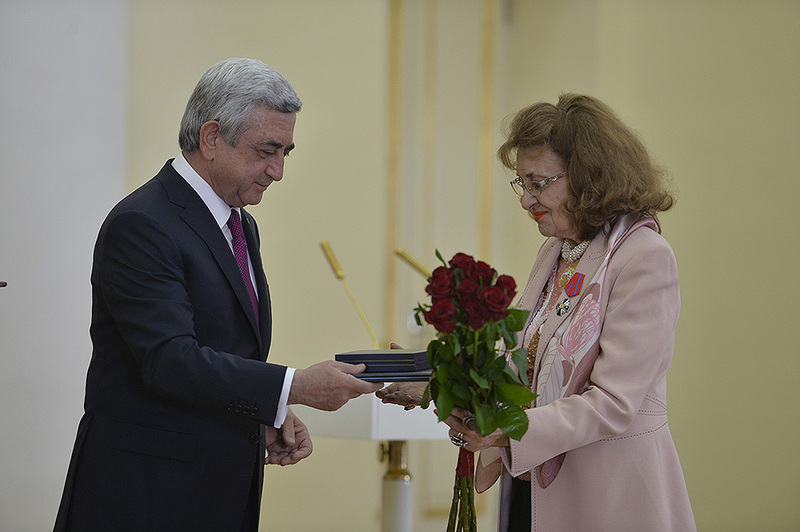 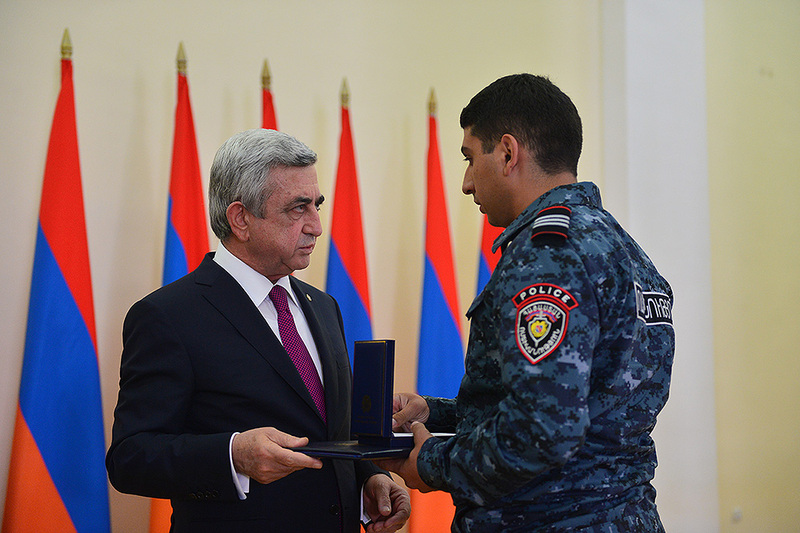 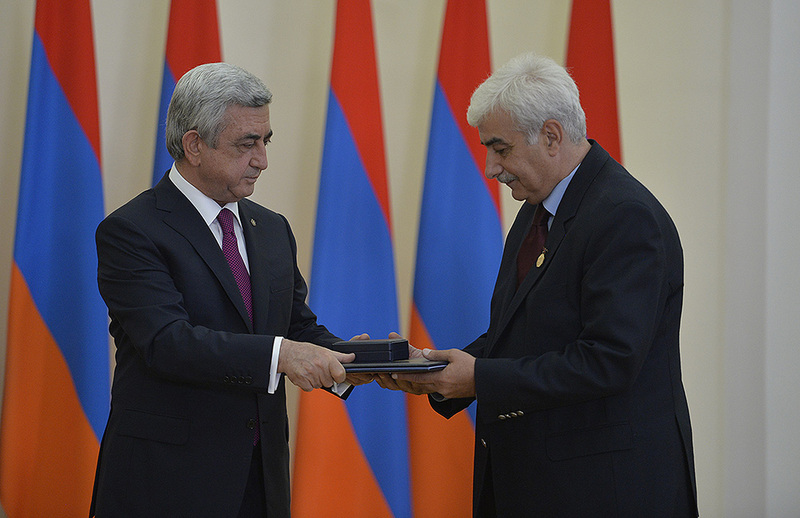 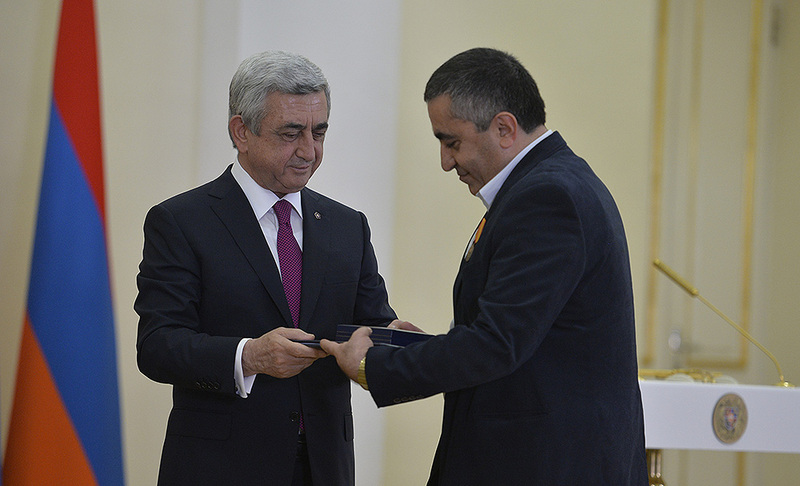 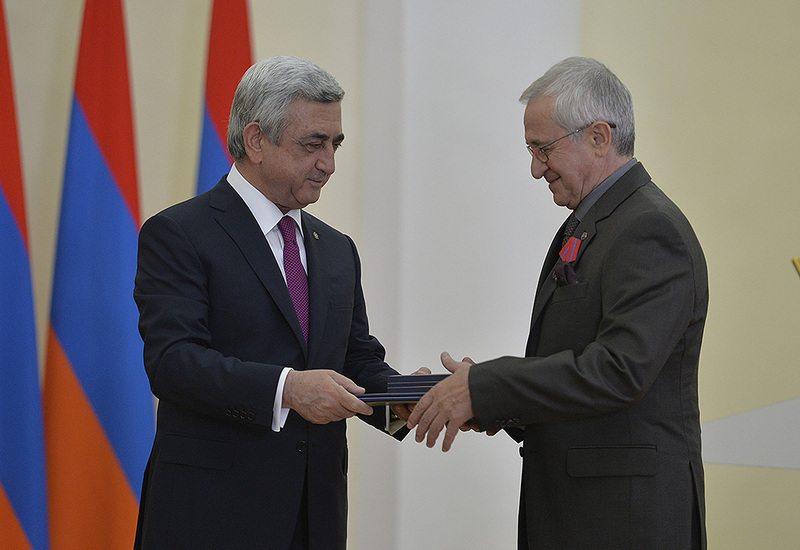 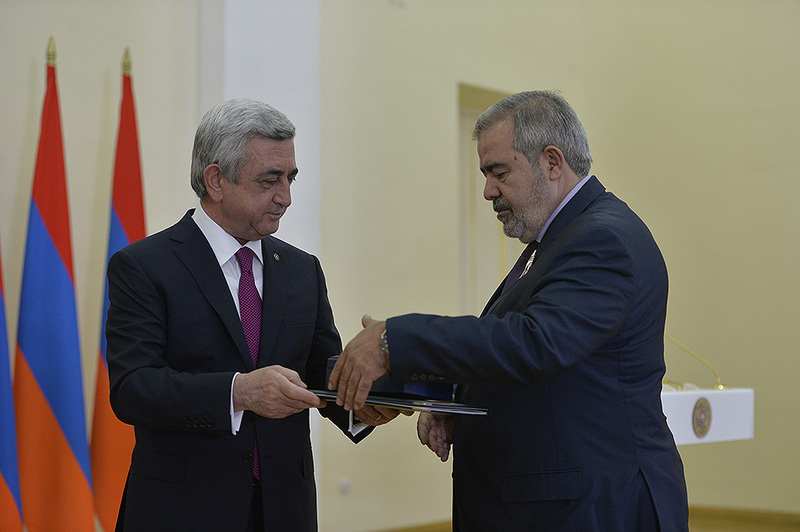 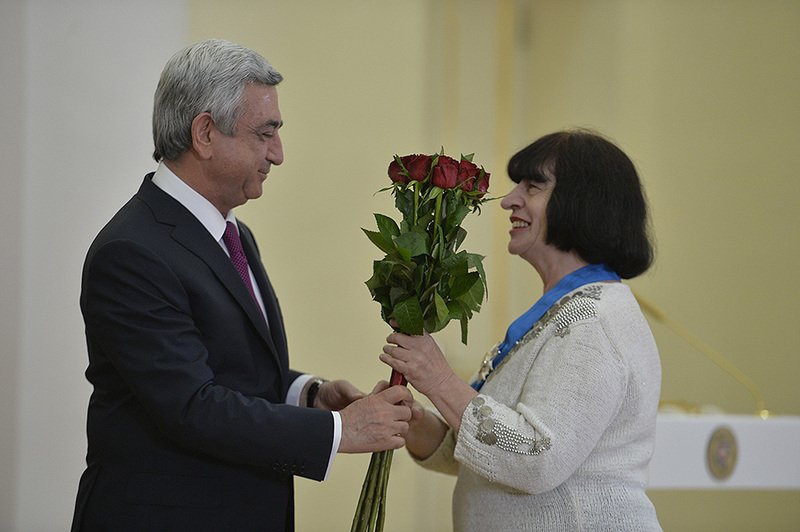 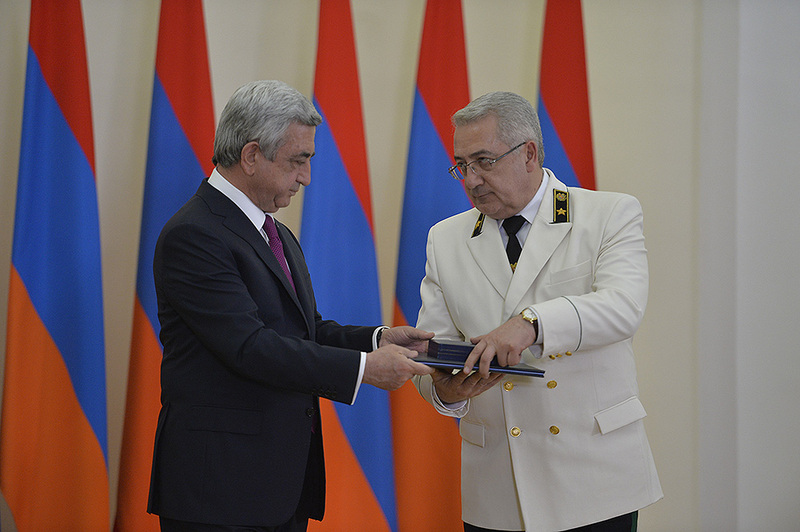 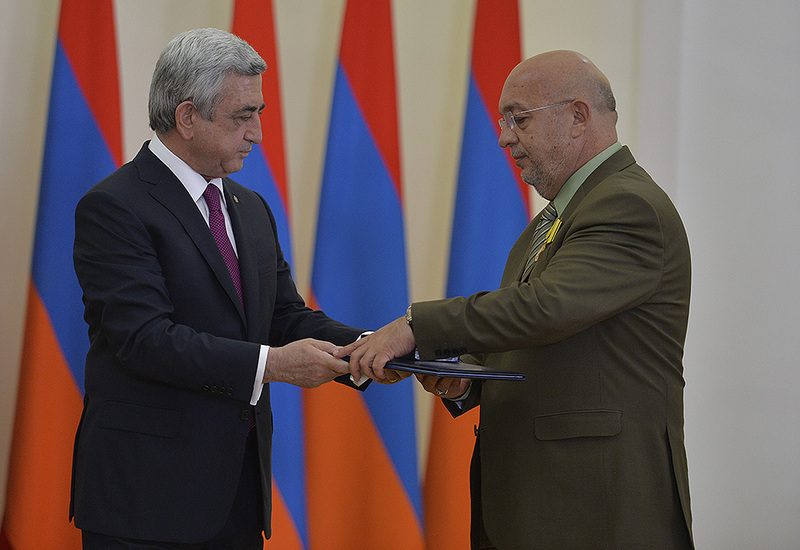 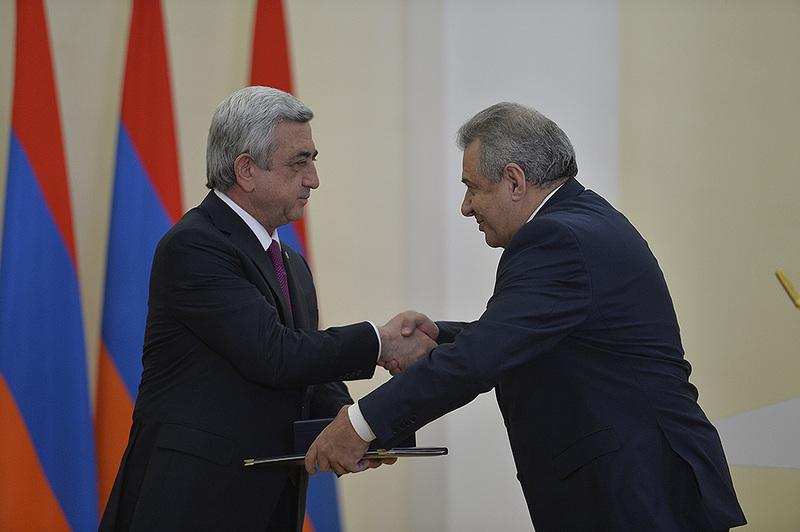 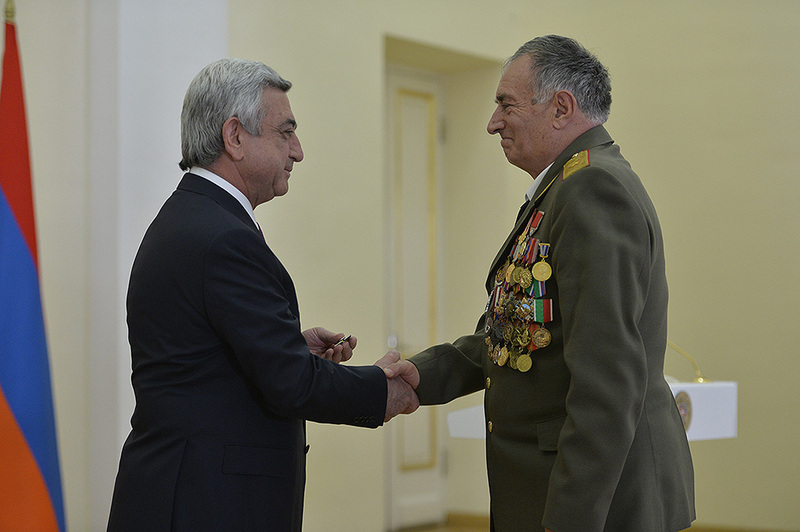 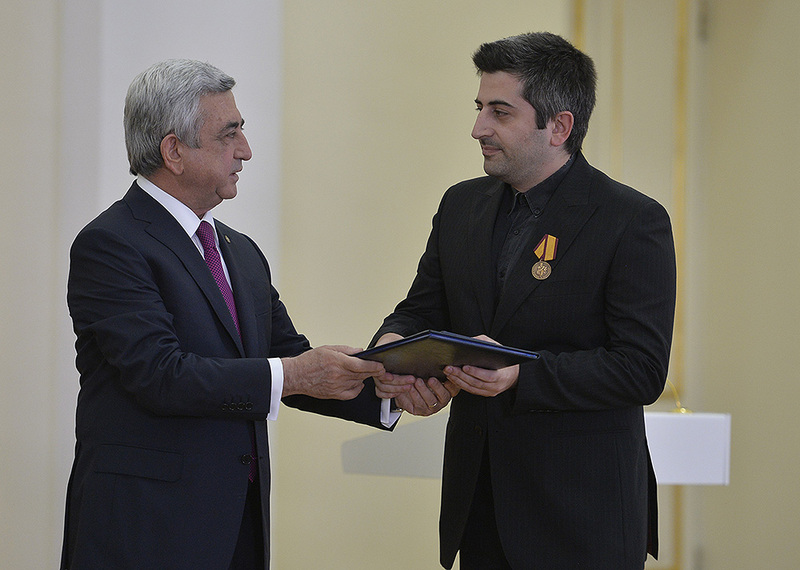 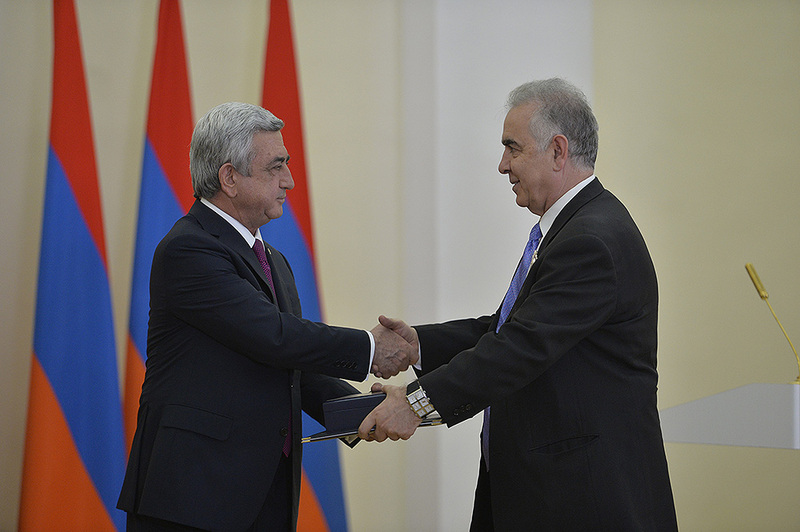 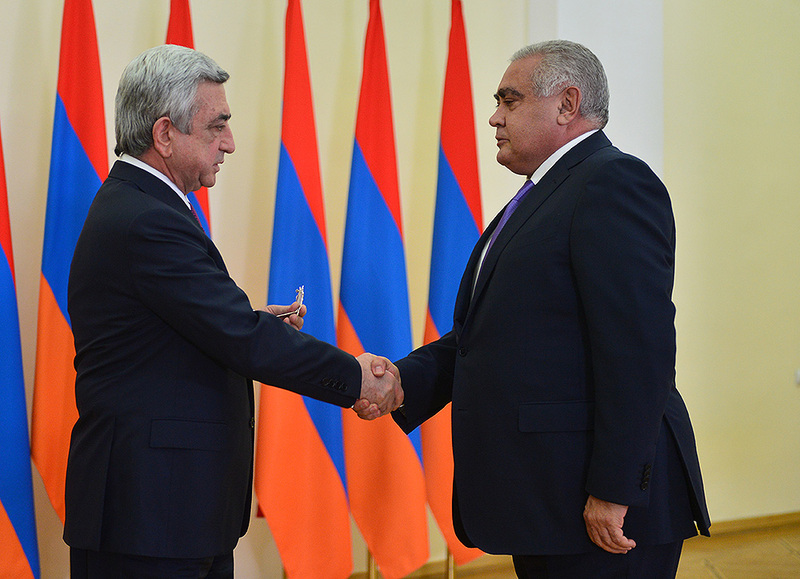 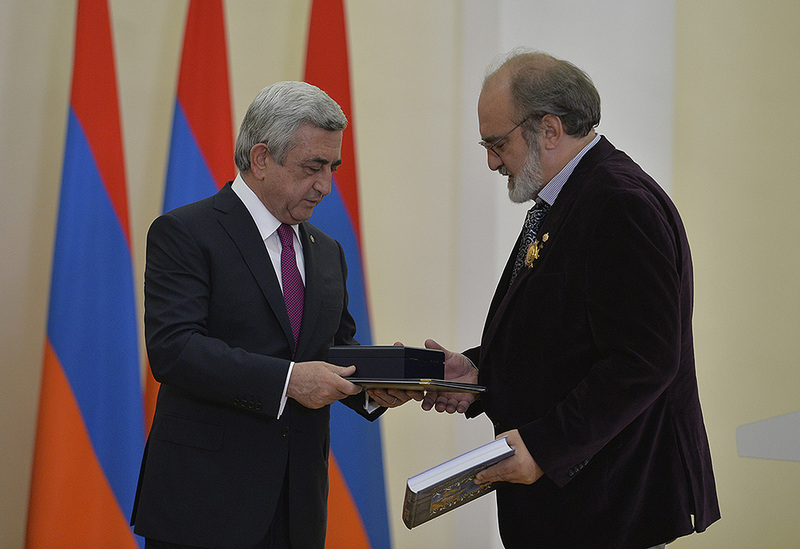 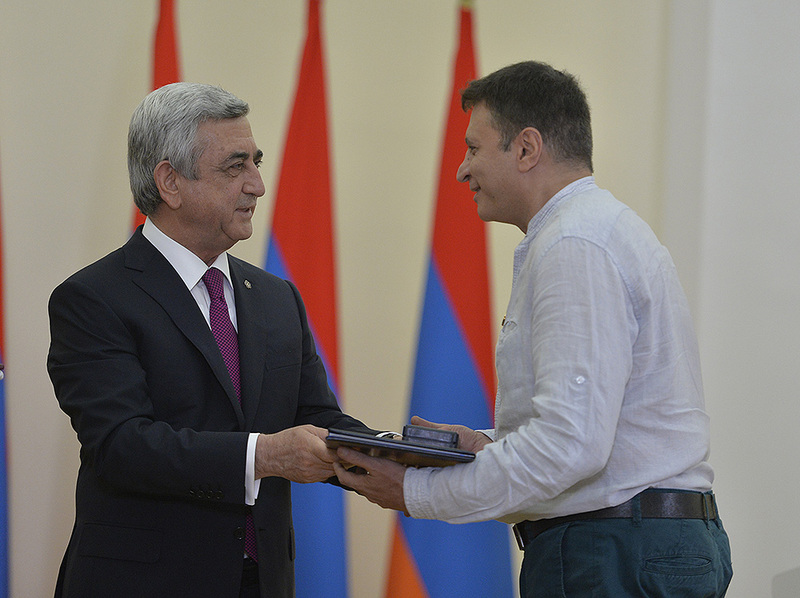 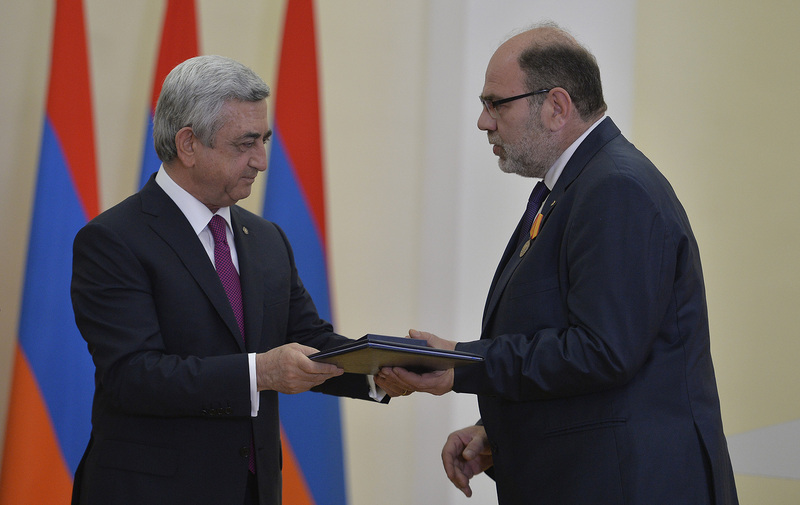 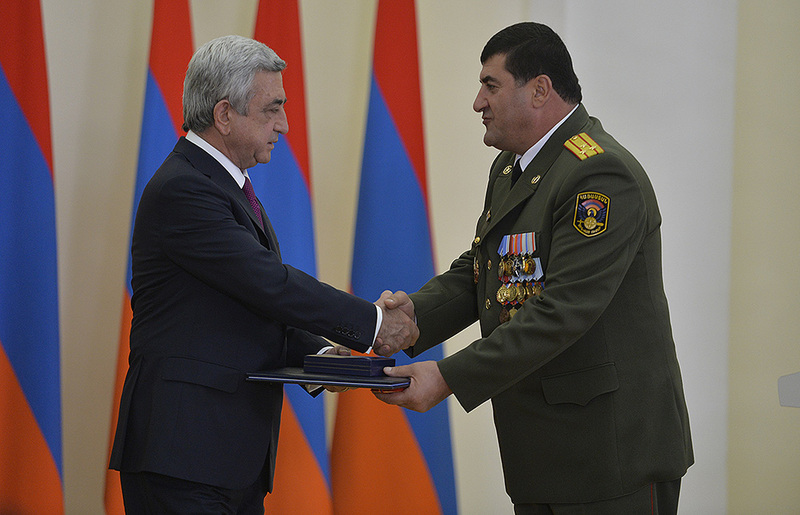 Today, at the award ceremony, which took place at the Presidential Palace, Serzh Sargsyan handed the awards to the individuals who have registered considerable achievements in different areas. 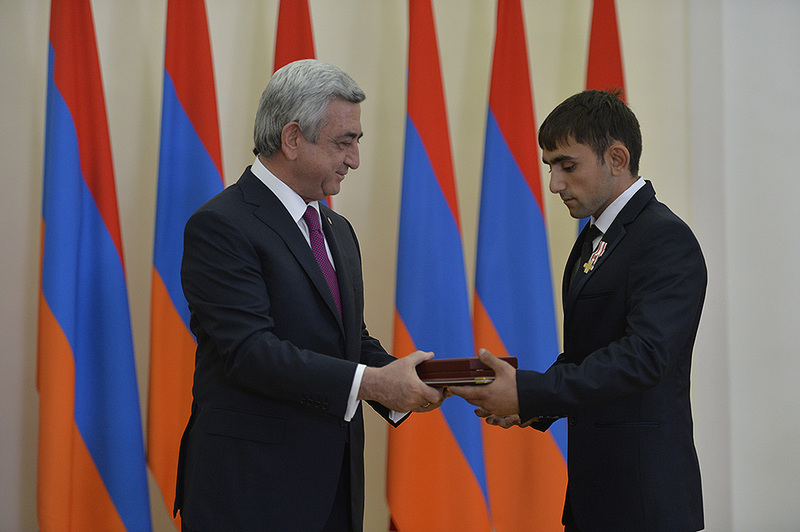 The President of Armenia congratulated all awardees on the occasion of Independence Day and receiving awards, and wished them all the best. 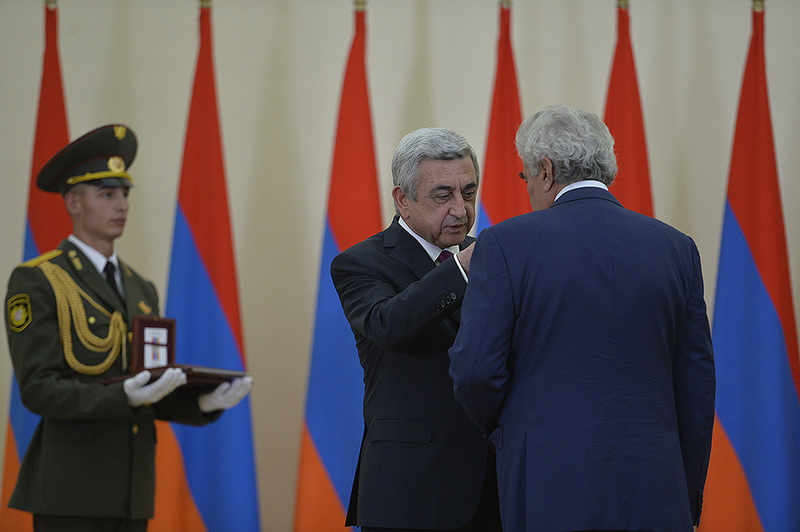 Today, we are celebrating the 25th anniversary of Armenia’s independence. 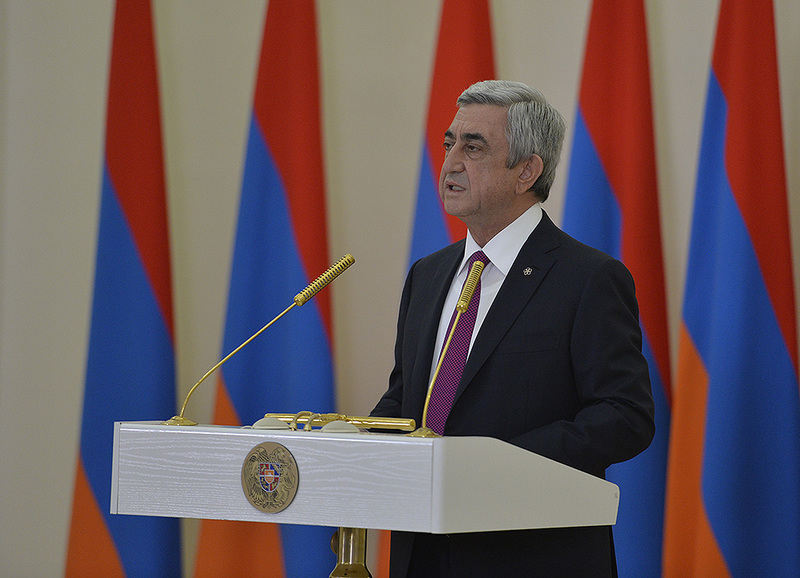 This great holiday suggests also making a glance back, reckoning over and assessing the journey we’ve made, its momentous milestones. 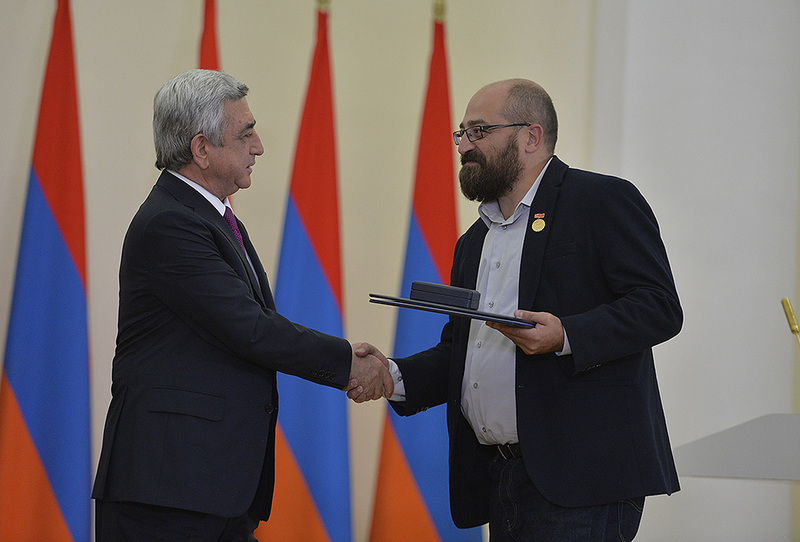 Almost from scratch, we created new state, public, and political institutions. 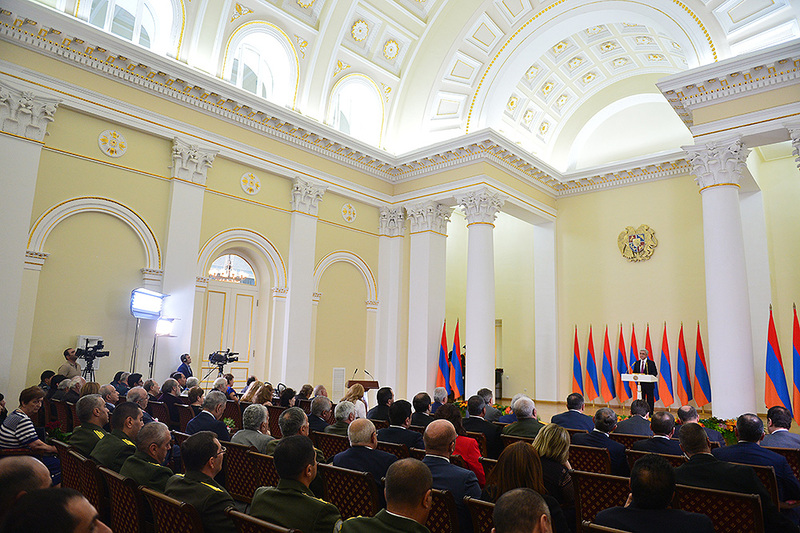 On each intersection of this difficult and honorable road and at each zigzag were standing people – devotees and personalities. 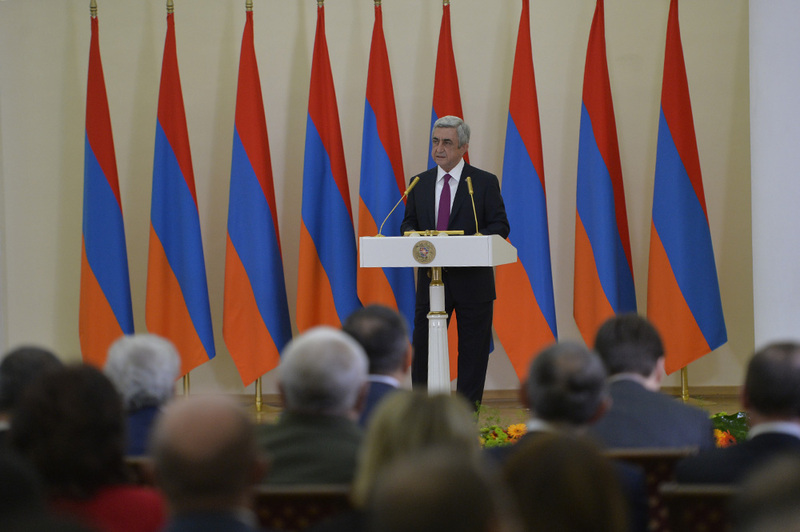 They were standing at the origins of our statehood and until now they have their authoritative voice in our life. 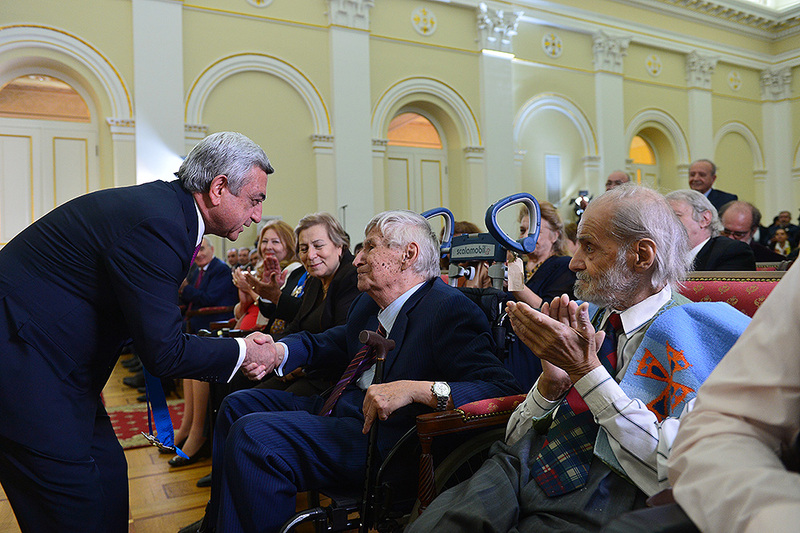 Today we recognize them and pay tribute. 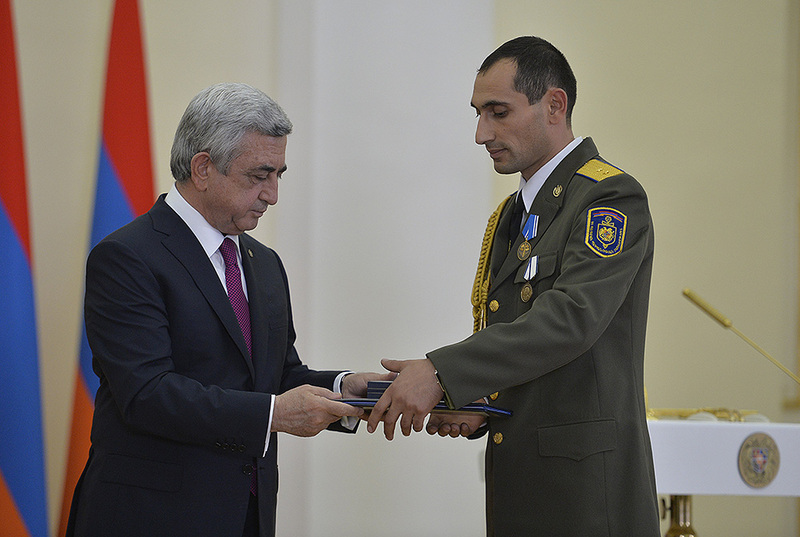 I cordially congratulate you on receiving Fatherland’s high awards. 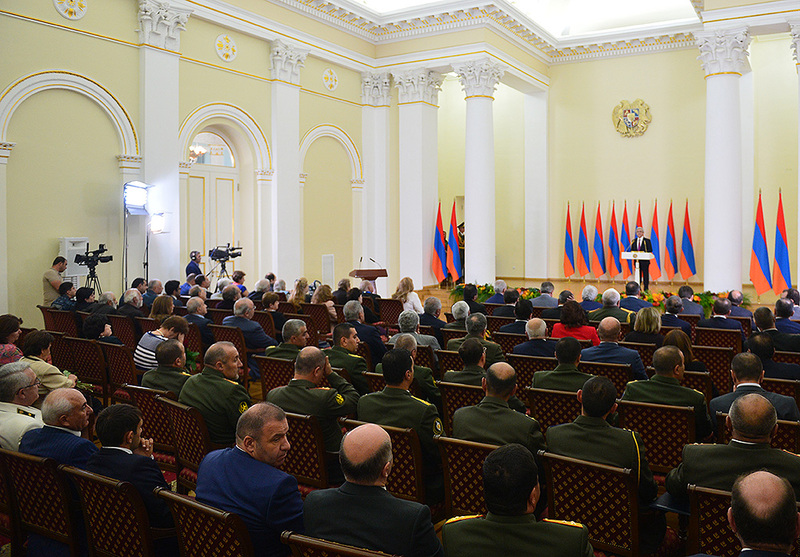 You are different and your activities are different too – a military serviceman, an author, a scientist, a public, a state, and a political figure. 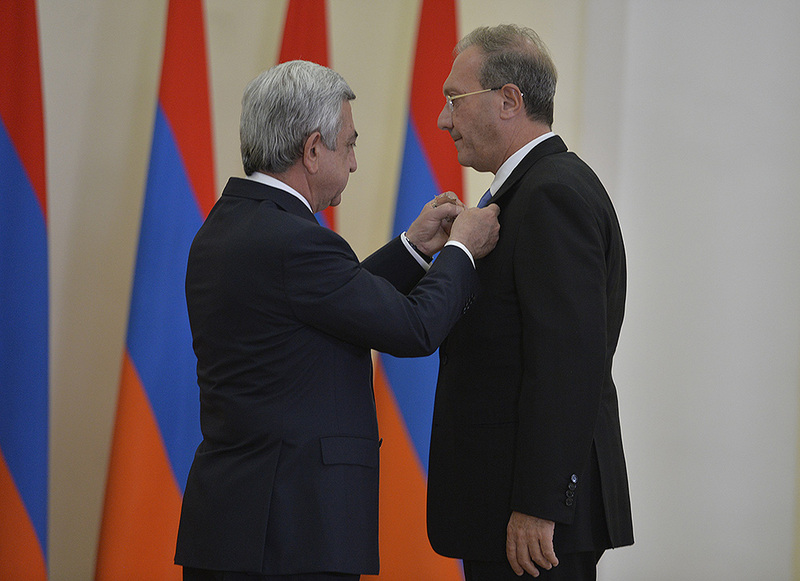 However you all, we all are fulfilling one common task. 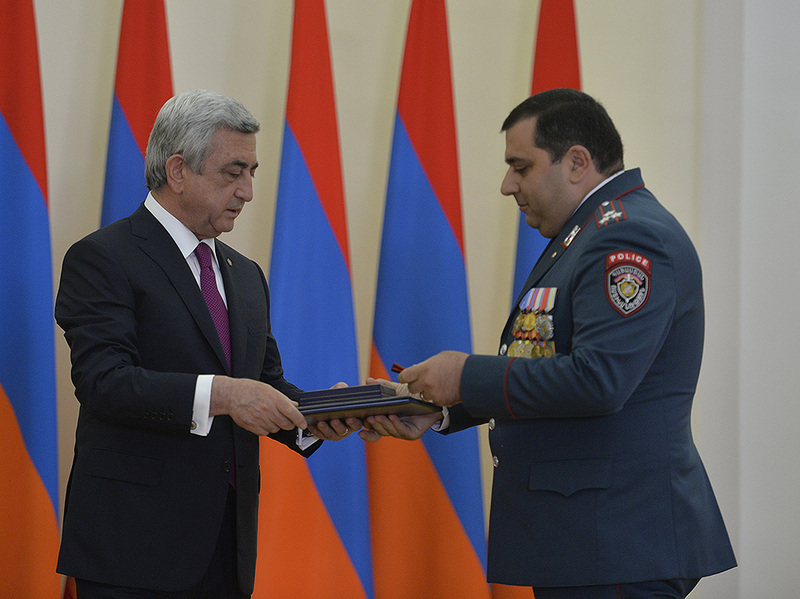 Your work and line of conduct, your activities have already earned you our people’s esteem. 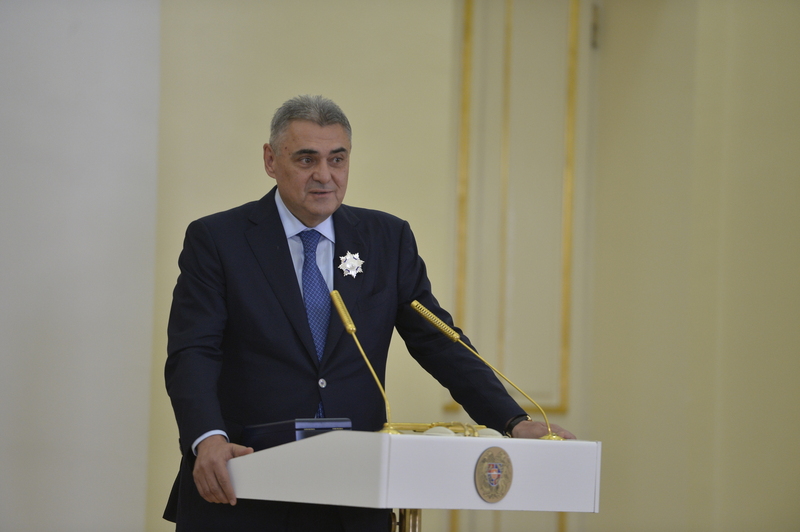 Your stance, composure, and opinion about the problems we face and ways to solve them are important and have their impact on our society. 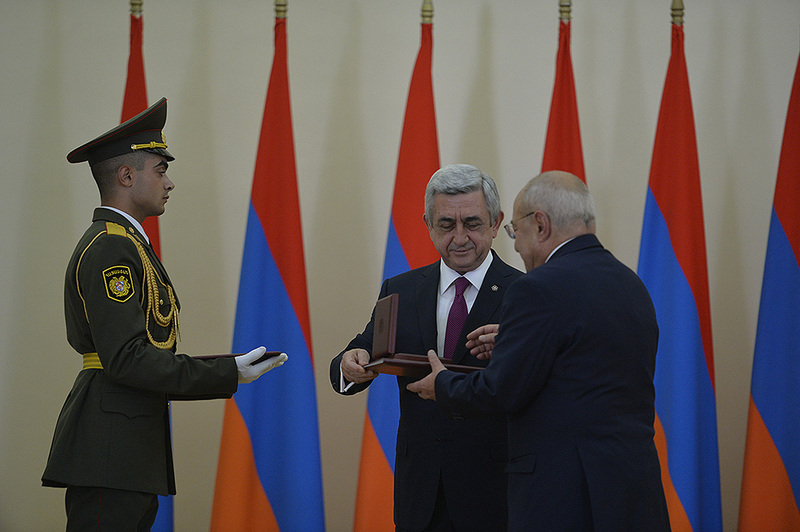 These days, on the occasion of the 25th anniversary of independence of the Republic of Armenia, we are handing awards to the individuals who have been bearing great historic responsibility, and they do it with honor, with great dedication. 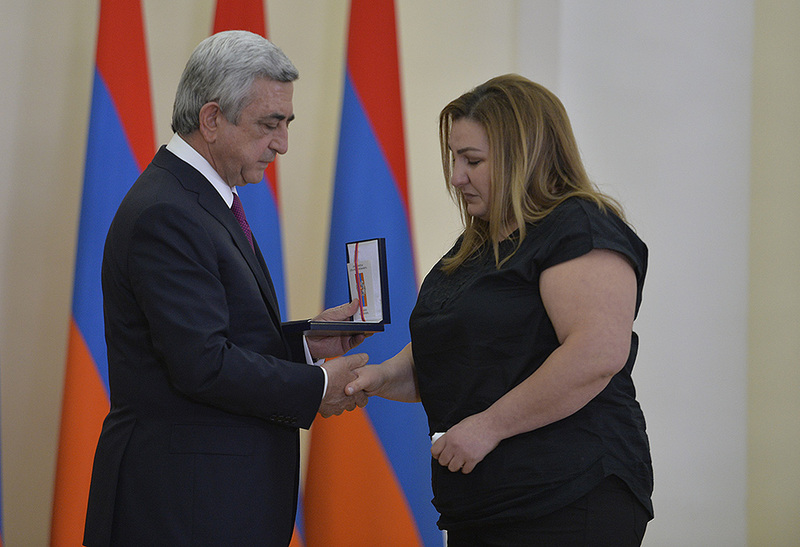 We are awarding the individuals who have long ago become symbols. 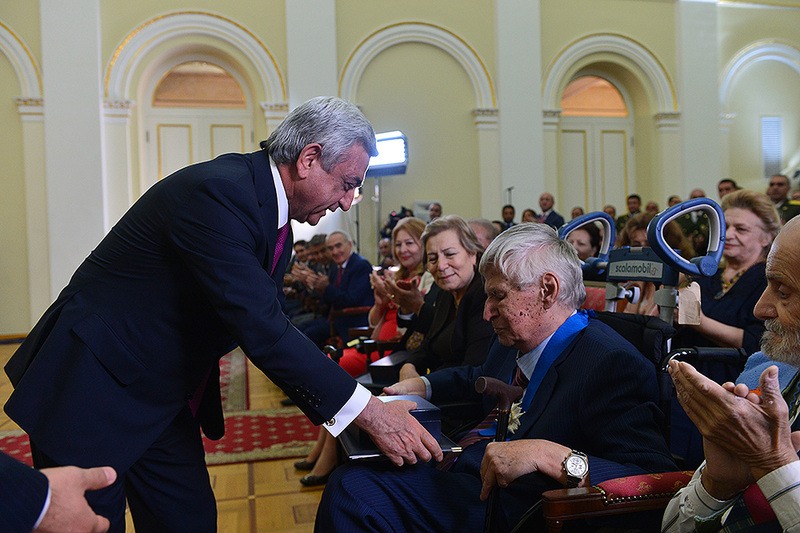 We also decorate individuals who have made a considerable input to different areas of our society’s life¸ young people who have already brought their important contribution to the development of our country. 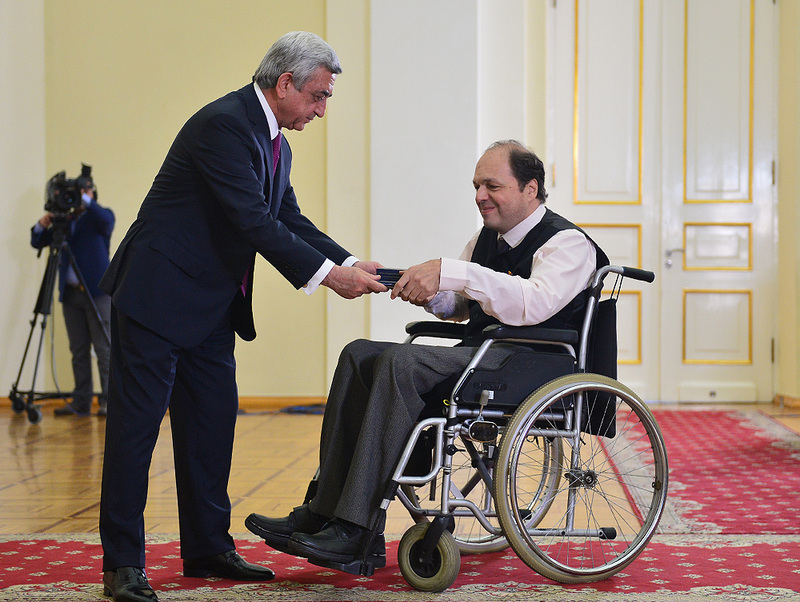 Distinguished Attendees, you all represent people who are being awarded today. 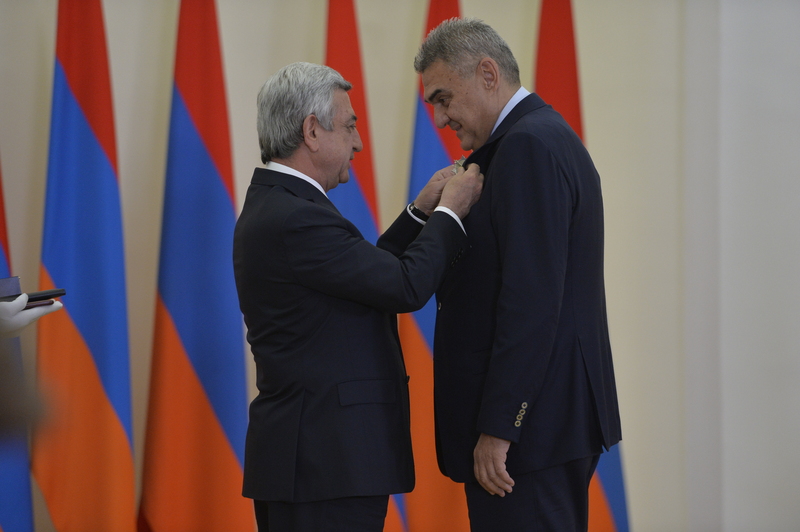 We are happy and proud that you are with us, that you have your unique place, role, and also opinion. 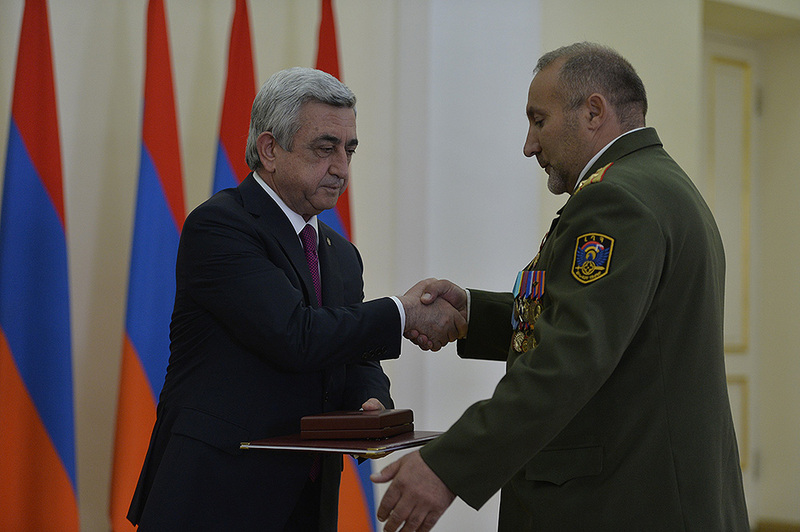 On behalf of the Republic of Armenia and my own behalf I congratulate you. 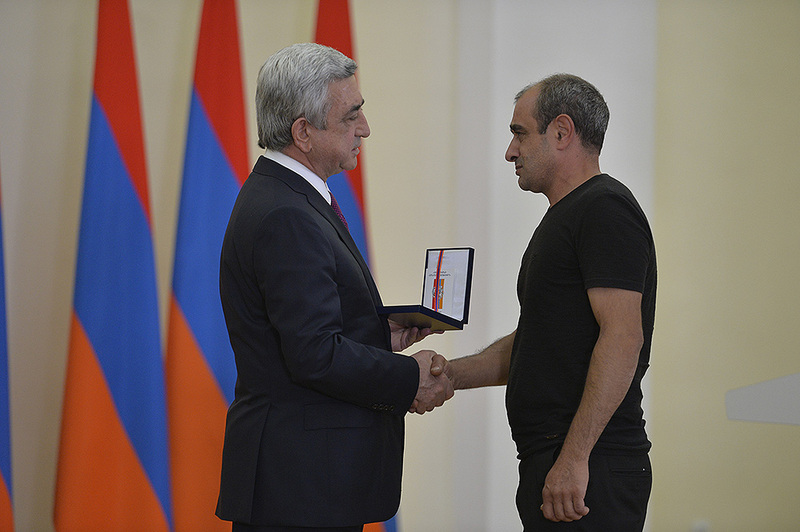 Thank you for being what you are. 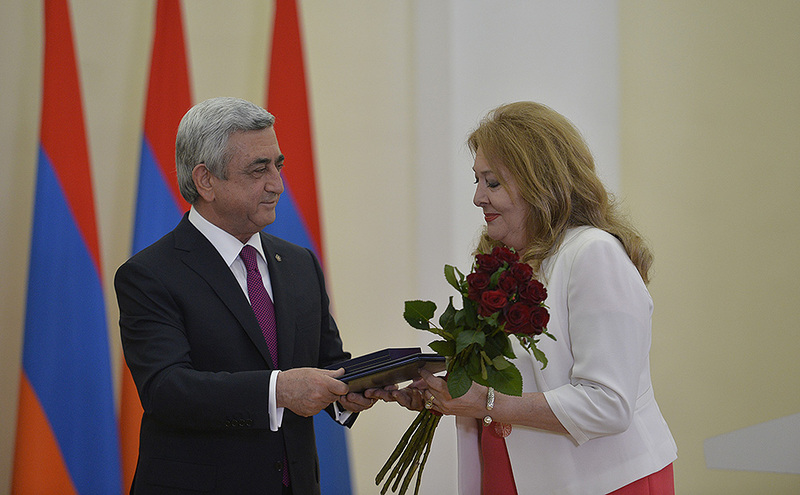 I wish you excellent health, long years, and unbound energy in all your undertakings because you have been doing very gratifying work for our people, and I am confident will continue to do everything possible. 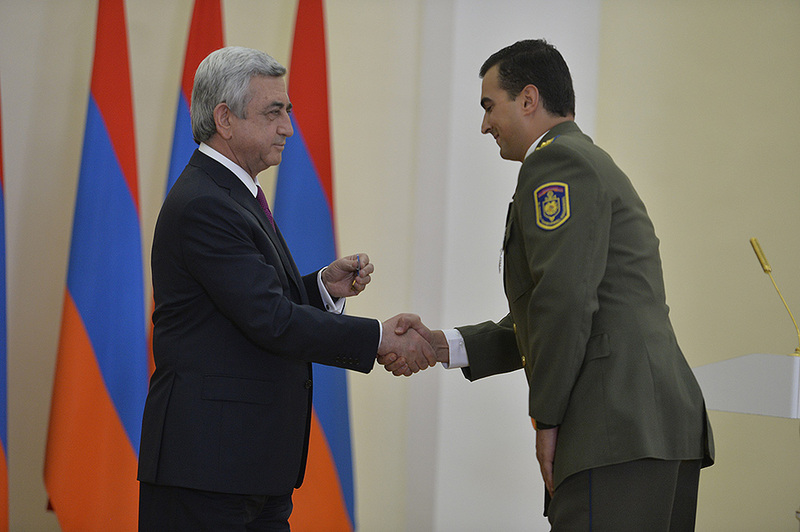 You will do it for Armenia. 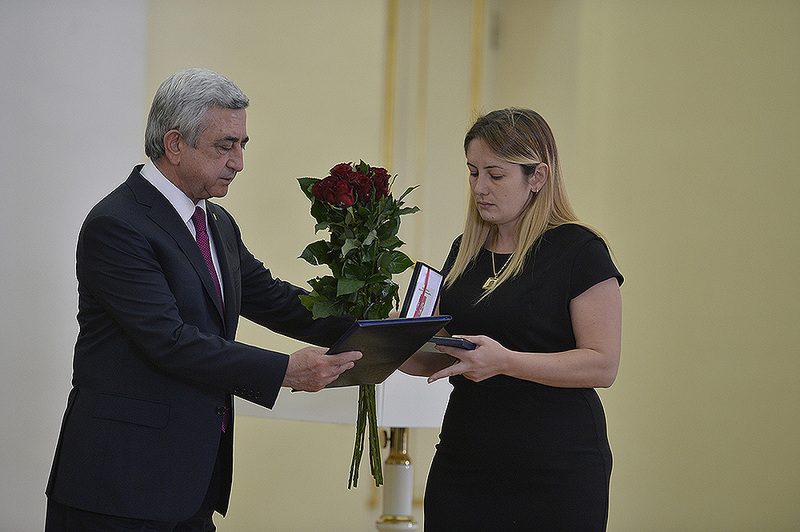 Thank you, and once again my congratulations.